We’re used to our Christmas traditions here in America. We cut down a tree, bring it into our house, and put lights on it. Also, we’re totally okay with a man we’ve never seen or met secretly climbing into our houses through the chimney. We eat gingerbread for some reason. You know, normal stuff. But to an outsider, al of that stuff may seem a bit strange. 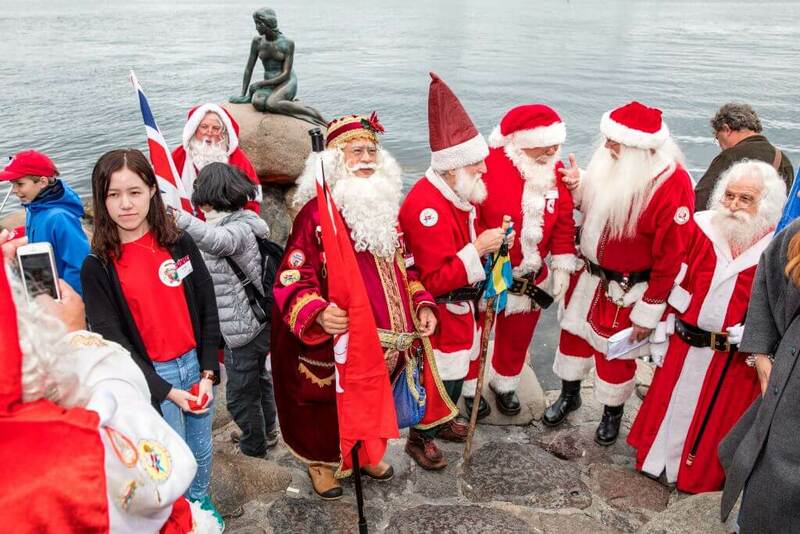 Just like the way other countries celebrate Christmas may seem strange to you. 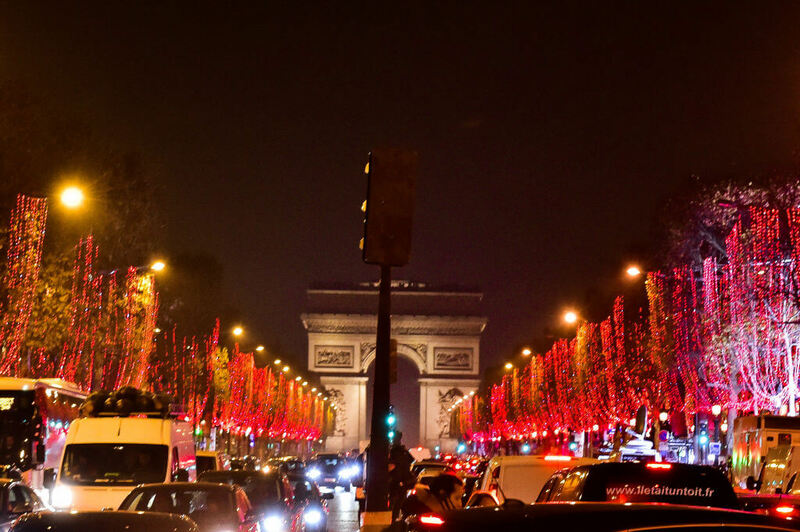 Keep reading to learn about all of the bizarre Christmas traditions from around the world. 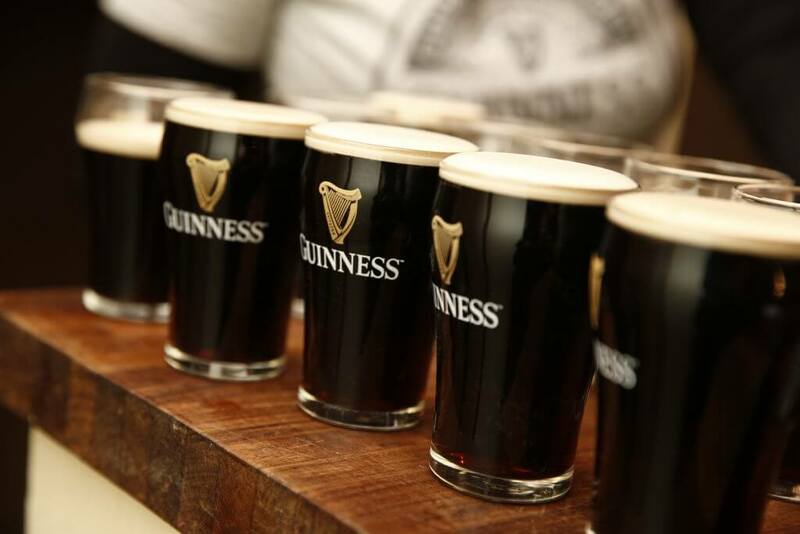 Children in Ireland leave a pint of Guinness out for Santa Claus instead of milk. Some Irish children leave out Christmas cake, mince pies, and carrots for the reindeer too. There is also an old tradition that involves putting out a tall, thick candle on the sill of the largest window after sunset on Christmas Eve. The candle burns all night and emits a welcoming light for Mary and Joseph. 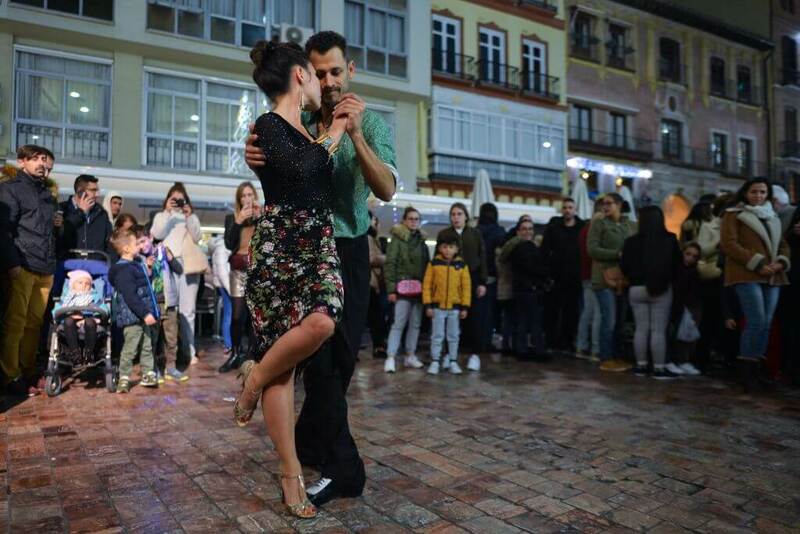 The weather is warm outside in Argentina during Christmas time, so people celebrate the holidays outside. 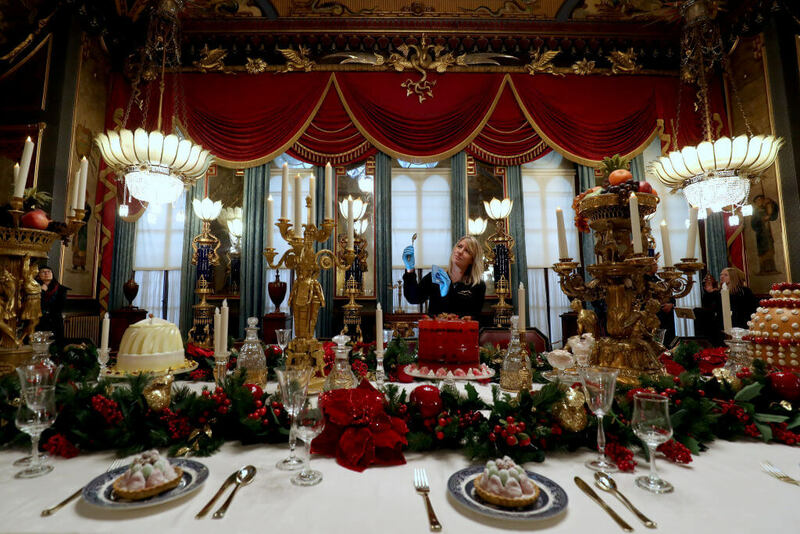 People eat their main Christmas meal on Christmas Eve pretty late at night at 10 or 11 PM. Popular Argentinian Christmas dishes include roasted turkey, roasted pork (in northern Argentina, some people will have goat), ‘vitel toné’ (slices of veal served with a creamy anchovy and tuna sauce), stuffed tomatoes, salads, and lots of different sandwiches like ‘pan de atun’ (special tuna sandwiches), ‘sandwiches de miga’ (sandwiches made of thin white bread without the crusts) and ‘torre de panqueques’ (a sandwich ‘cake’ made from several layers of tortillas with different fillings). Any Italian person will tell you that food is a huge part of any celebration in Italy. On Christmas, people have a huge Christmas feast that ends with a slice of Panettone for dessert. Panettone is basically a dry, tall, bready fruitcake. The nativity crib scene is also a big deal in Italy. Sometimes the nativity scene is displayed in the shape of a pyramid and it can be several feet tall. 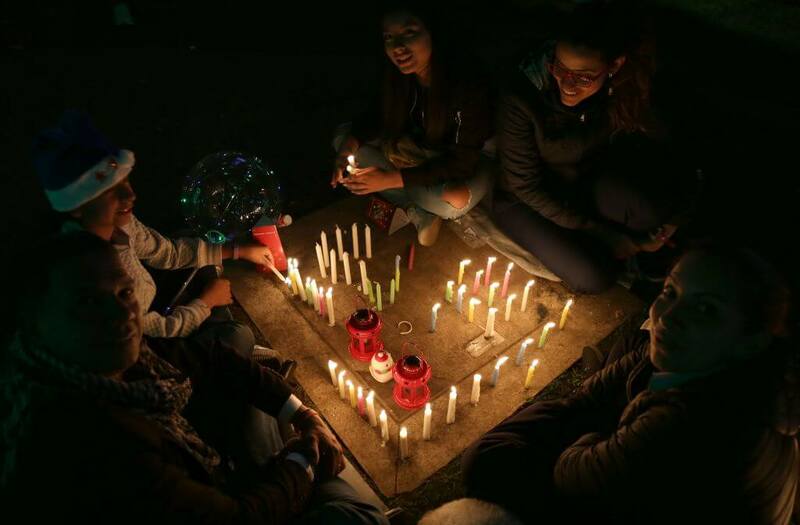 In Columbia, Christmas celebrations start on December 7th, which is known as ‘Día de las Velitas’ or Day of the Little Candles. Everyone decorates their houses with a whole bunch of little candles and there are usually firework displays involved. The main Christmas meal is eaten on Christmas Eve and it’s called ‘Cena de Navidad.’ The dishes people usually eat in Columbia on Christmas are ‘lechona’ (pork stuffed with rice and peas), ham, turkey or a chicken soup called ‘Ajiaco Bogotano’. Christmas is a big deal in the UK. England definitely takes Christmas seriously. 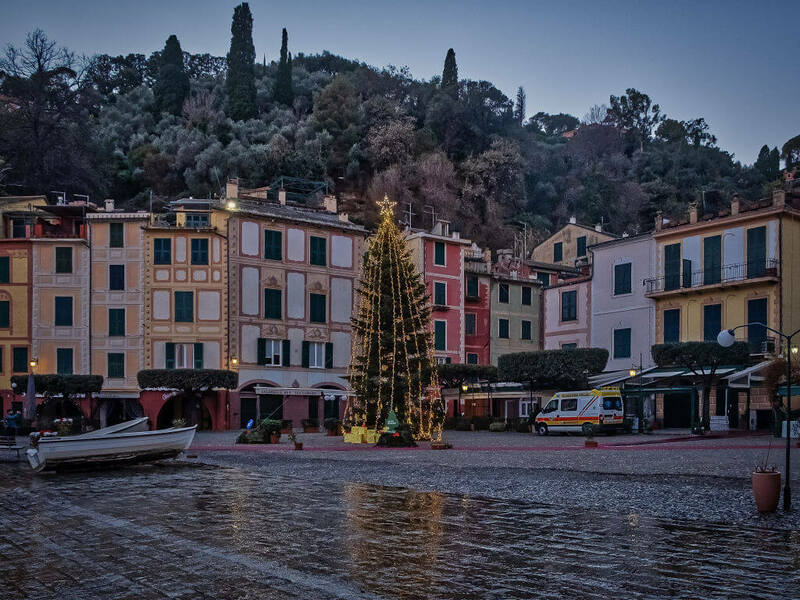 Most villages are fully decorated for the holidays, and people have a Christmas tree or two in their homes. Christmas foods in the UK include mince pies, Quality Street chocolates, trifles, and gingerbread. Sometimes it snows, sometimes it doesn’t, but the festivities are always over the top. If you haven’t had a Christmas dinner in the UK, you haven’t really had Christmas dinner. 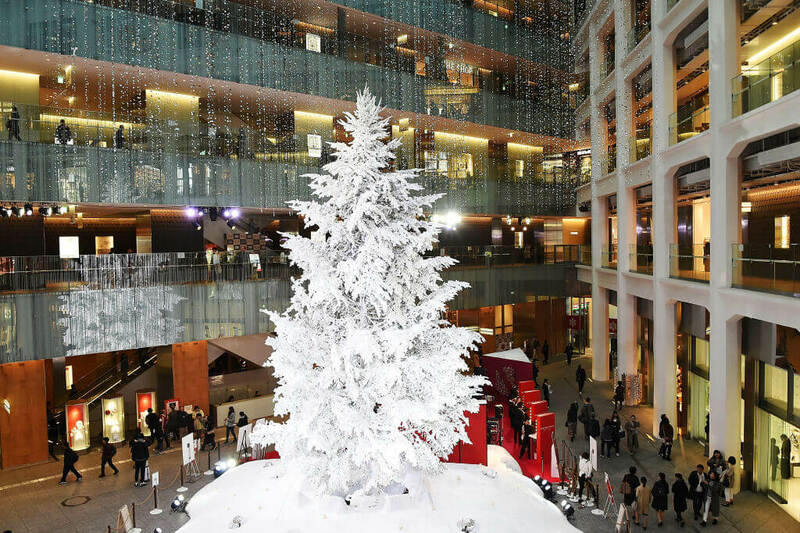 Christmas is more of an excuse for festivities in Japan than it is a religious holiday. People eat fried chicken on Christmas in Japan. In fact, KFC gets so busy on Christmas that people have to place their order weeks in advance to secure their bucket. Japan definitely goes all out with the lights and the decor, and people go on romantic walks around the city to look at all of the festive cityscapes. Christmas in Russia is usually celebrated on January 7th. Only a select few Catholics celebrate the holiday on December 25th. The date is different because the Russian Orthodox Church uses the Julian calendar. 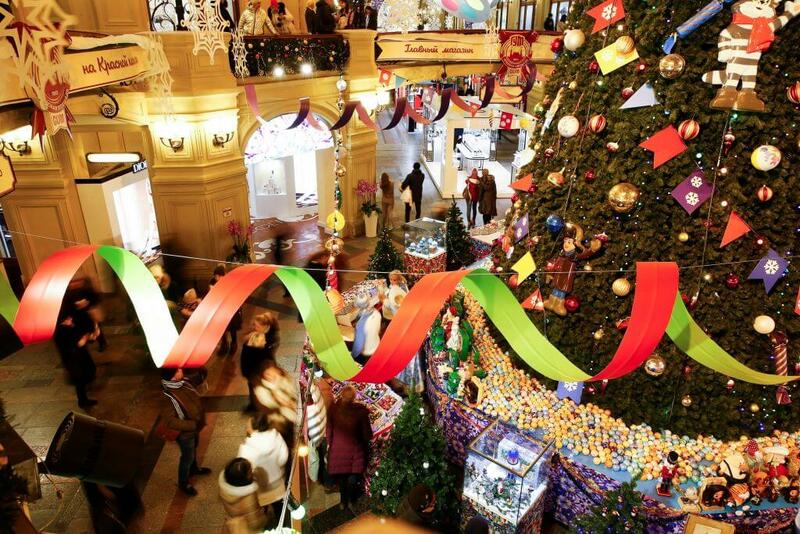 Christmas was banned in Russia during the days of the Soviet Union. 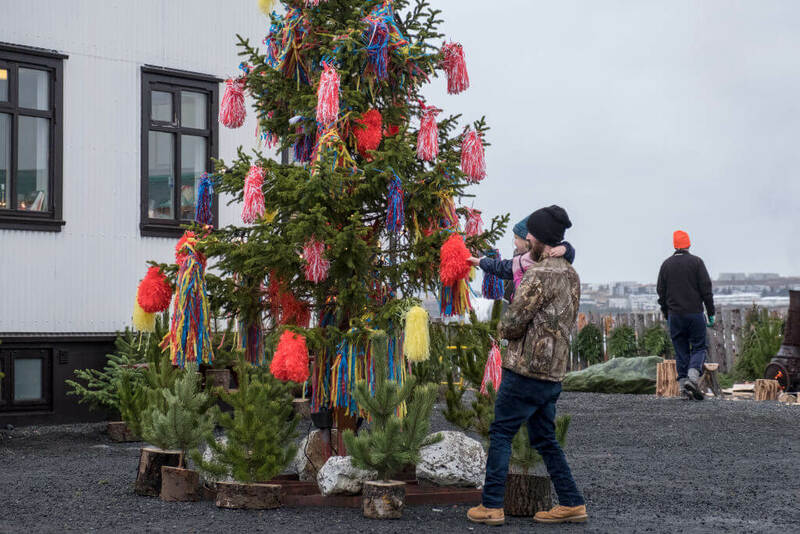 Christmas trees were actually banned until 1935 when they returned as “New Years trees.” If people did want to celebrate Christmas, they had to do it secretly. Yule logs are a thing in France around Christmas time, and I’m not talking about a rolled chocolate cake. I mean, people in France do eat those kinds of yule logs, but they also burn yule logs made out of cherry wood in their homes. The log is sprinkled with red wine to make it smell nice while it’s burning. The log is left burning all night, and people leave out food and drinks for Mary and baby Jesus. 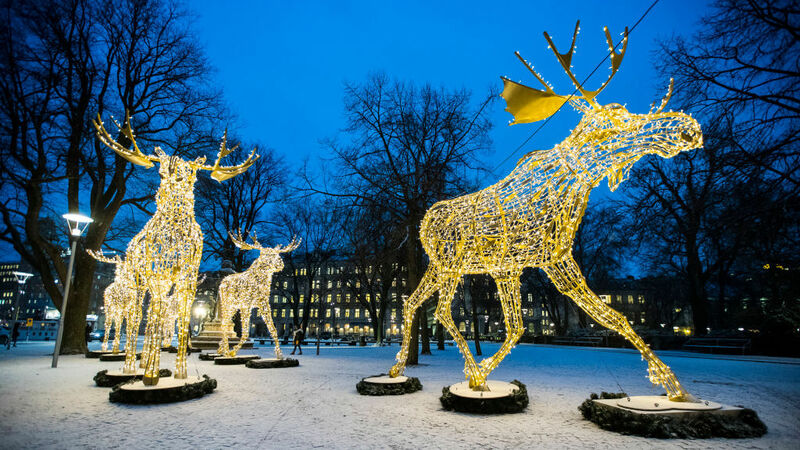 Christmas is known as ‘Jól’ or Yule in Iceland. Christmas starts at 6pm on Jól eve and children open their presents after the evening meal. One other big Jól custom is the coming of the ‘Jólasveinarnir’ or Jóltide Lads. Each day from December 12th until Christmas, a different “Lad” or magical being comes in from the mountains. Jólasveinarnir first came to Iceland in the 17th century as a pair of bloodthirsty ogres. 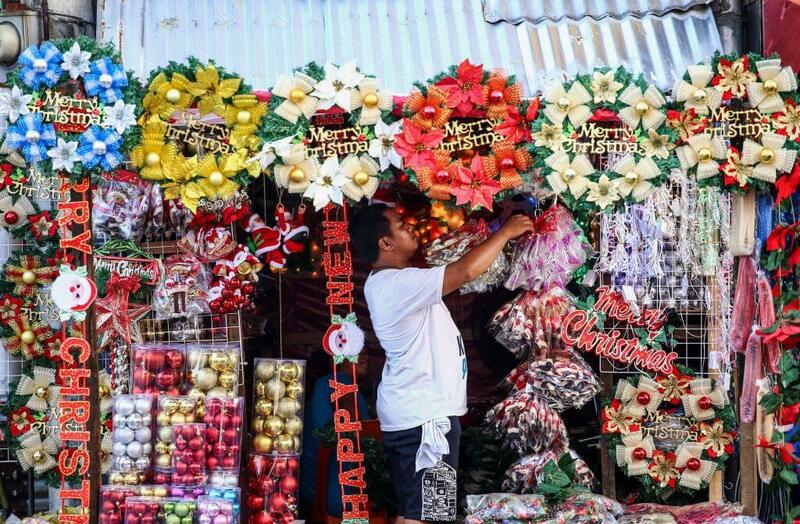 People in the Philippines like to celebrate Christmas for as long as possible. Shop owners start playing Christmas carols in their stores in September! Most Filipinos are Christians and 80% of them are Catholic, which is more than any other Asian country. They have their own Christmas tradition called the ‘parol’ which is a bamboo pole or frame with a lit star lantern on it. It represents the star that guided the Wise Men. 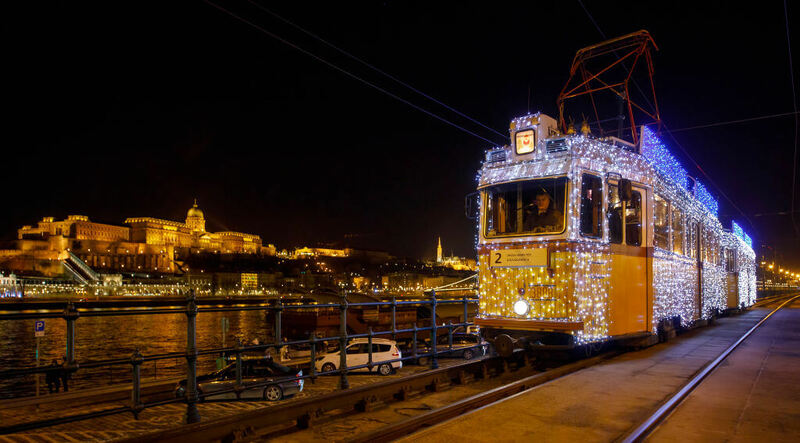 In Hungary, Christmas Eve is called ‘Szent-este’ which means Holy Evening. 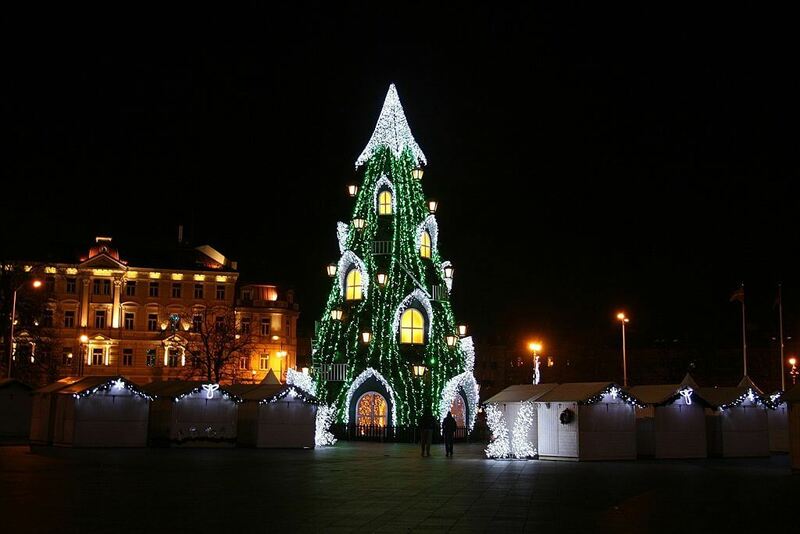 While in America, families often decorate the Christmas tree together, in Hungary parents decorate the tree on their own and then tell their children that the tree was decorated by angels. The main Christmas meal, which is also eaten on Christmas Eve, consists of fish, stuffed cabbage, and a special kind of poppyseed cake called ‘Beigli.’ They also like to eat gingerbread. In Sweden, people like to watch Donald Duck on Christmas Day. Every year since 1959, at 3:00 PM on Christmas Eve, another popular and important thing that many Swedes do is watch “Kalle Anka och hans vänner önskar God Jul” meaning “Donald Duck and his friends wish you a Merry Christmas.” Half of the Swedish population tunes in to watch it. Also, Families sometimes have goats made of straw in the house to guard their Christmas tree. 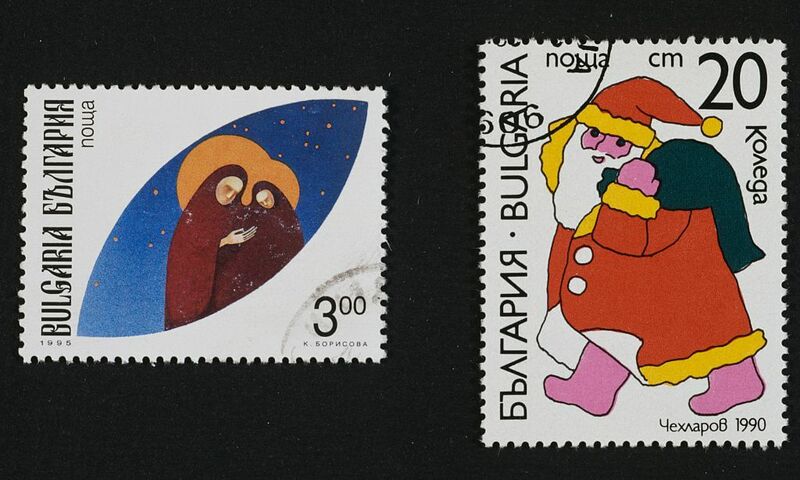 Most Christians in Macedonia belong to the Orthodox Church, so they celebrate Christmas on January 7th. They eat traditional bread with a coin baked into it. At the end of the night, the bread is passed around. Everyone takes a piece and the person who finds the coin is granted good luck for the entire year. They might also have to host Christmas dinner next year, though, so it’s a bit of a double-edged sword. 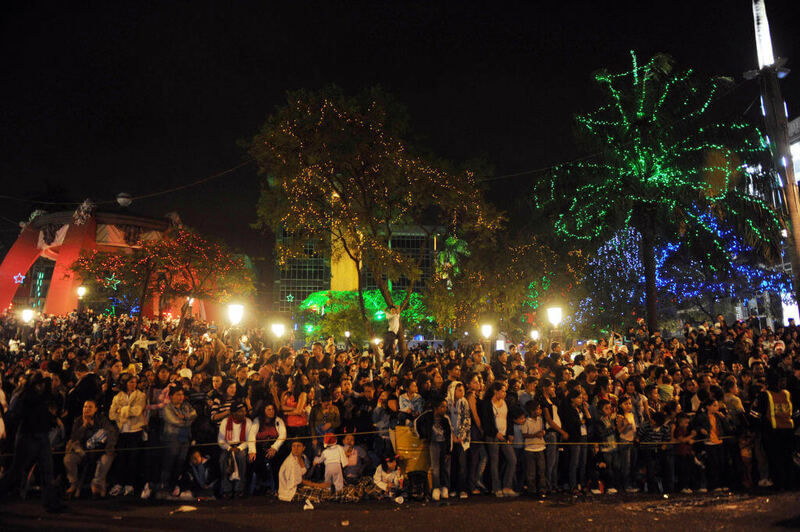 From December 16th to Christmas Eve, children in Mexico often perform the ‘Posada’ processions. Posada is Spanish for Inn or Lodging. There are nine Posadas. These celebrate the part of the Christmas story where Joseph and Mary looked for somewhere to stay. 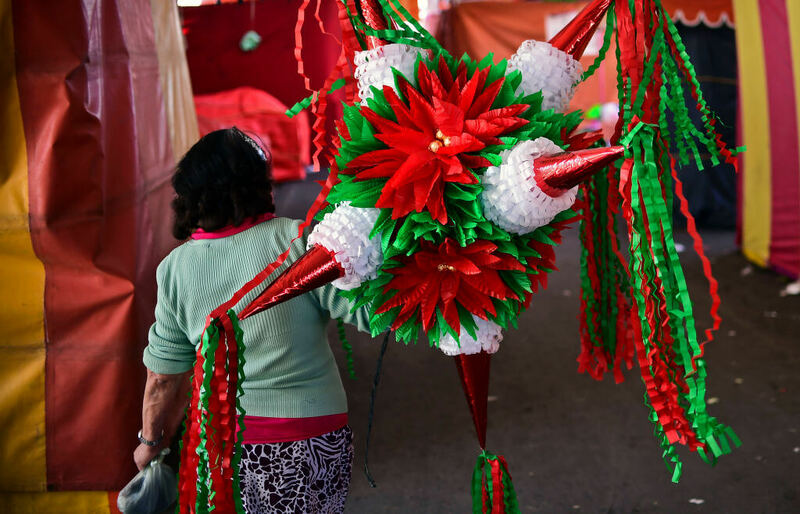 Posada parties usually involve piñatas, and on Christmas, the piñatas look like a ball with seven peaks or spikes around it. The spikes represent the seven deadly sins. Children are blindfolded and take turns hitting the piñata until candy falls out. Very few people celebrate Christmas in China because less than one percent of the Chinese population is Christian. Really, Christmas is only celebrated in big cities. It has become popular for people to give each other apples on Christmas Eve in China. Many stores sell apples wrapped in colored paper around Christmas time. The custom of gifting apples started because the word apple in Mandarin sounds like the word for peace. 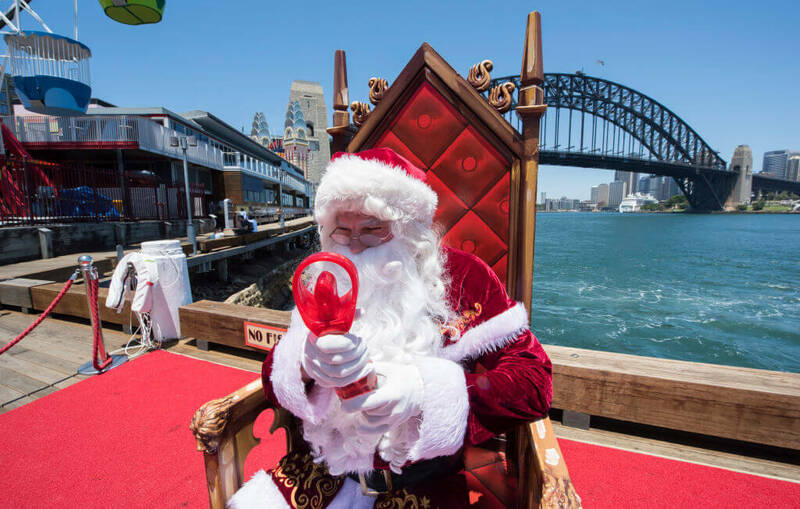 Seasons are backward in Australia, so Christmas happens just as kids are starting to enjoy their summer holiday. Even though you’ll never see a white Christmas in Australia, people still decorate their homes and Christmas trees for the holidays. 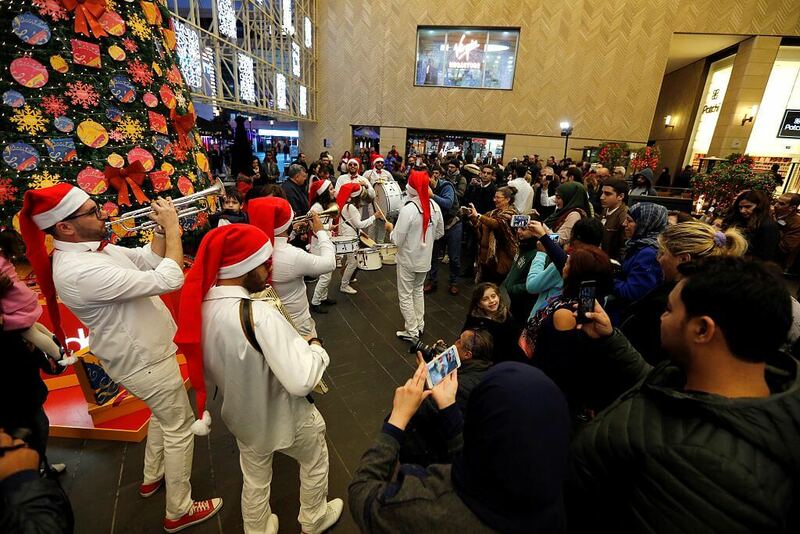 Australians also decorate their houses with bunches of ‘Christmas Bush’, a native Australian tree with small green leaves and cream colored flowers. In summer, the flowers turn a deep shiny red. Sometimes, in Brazil, children leave a sock by their window. If Papa Noel (their version of Santa Claus) finds the sock, he’ll exchange it for a present. There’s also a Brazilian version of the nativity play in which a woman tries to steal baby Jesus. People go to a midnight mass service which finishes at 1 AM, and then there’s a huge fireworks display. The Brazilians know how to do Christmas right. People in Denmark eat roast duck, goose, or pork for Christmas dinner. The main protein is served with boiled and sweet potatoes, red cabbage, beetroot, and cranberry jam/sauce. Most families have a ‘ris á la mande’ (which is a rice pudding made with almonds and whipped cream) for dessert. All but one of the almonds in the pudding are chopped into pieces. The person who finds the whole almond gets a present called a Mandelgave (almond present). The traditional Mandelgave is a marzipan pig. 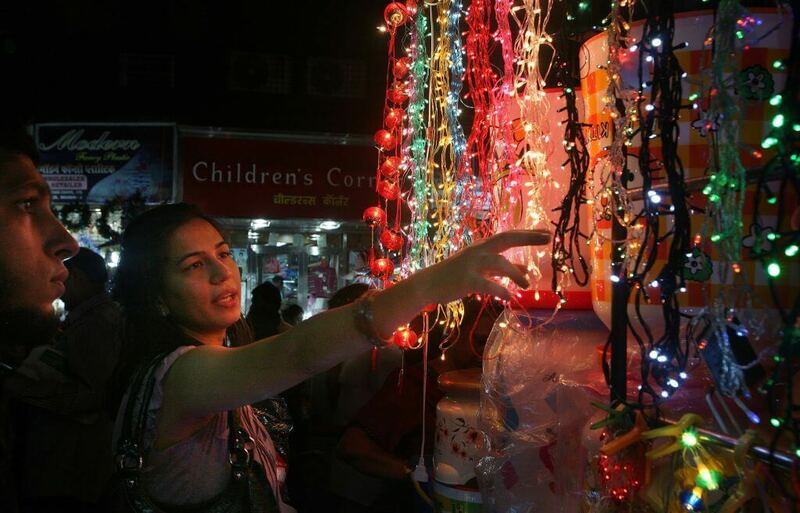 Christmas is a relatively small affair in India because only 2.3% of the population is Christian. Still, the population in India is pretty large, so 2.5% is still over 25 million people. Instead of having traditional Christmas trees, people in India decorate a banana or mango tree. Sometimes people use mango leaves to decorate their homes. In Southern India, Christians put small oil burning clay lamps on the flat roofs of their homes. In Costa Rica, people like to decorate their houses with beautiful tropical flowers. A model of the nativity scene, called the Pasito or Portal, is usually at the center of the display. Christmas wreaths are made of cypress branches and are decorated with red coffee berries and ribbons. The Costa Rican version of Santa Claus is called’Niño dios’ (Child God, meaning Jesus) or ‘Colacho’ (another name for St. Nicholas). 90% of the population in Kosovo is Muslim, but there is still Christians of Serbian ethnicity living in Kosovo. 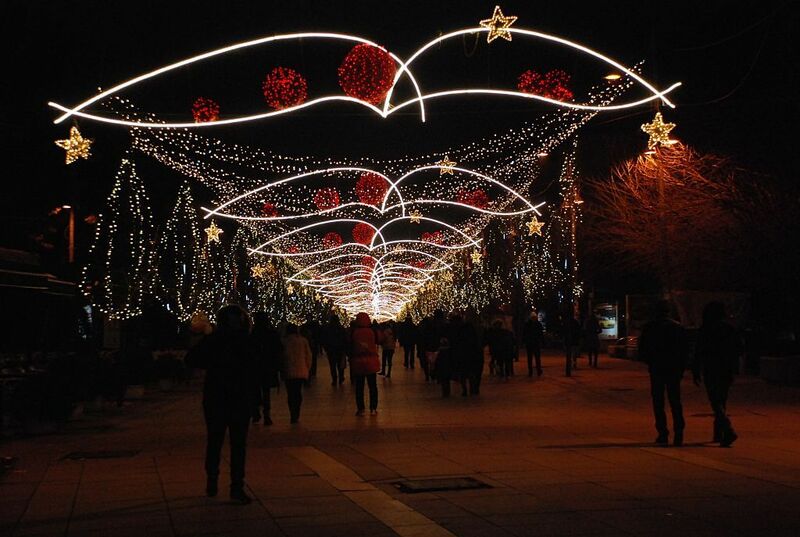 Like other countries who follow the orthodox church, the Christians of Kosovo celebrate Christmas on January 7th. 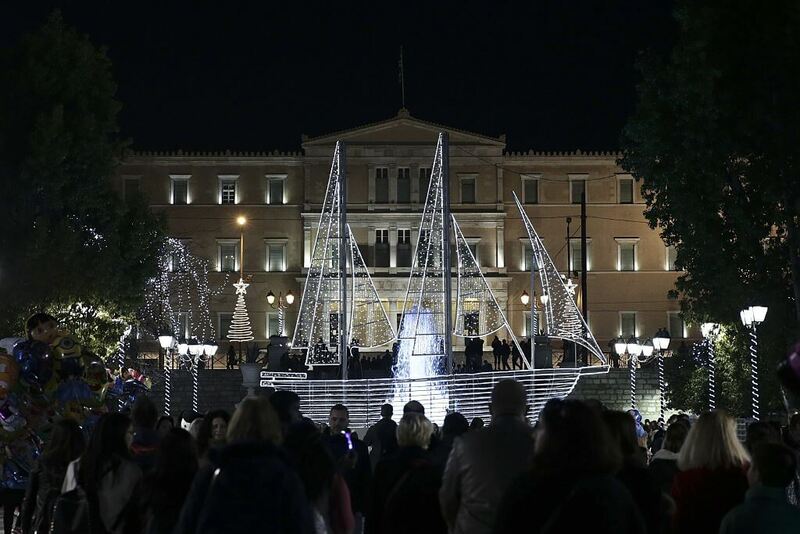 On Christmas Eve, Greek children sing carols in the streets. Sometimes they carry model boats with them decorated with nuts that are painted gold. If they sing well, they’ll be given small gifts like money and nuts and dried figs. A traditional Greek Christmas decoration is a shallow wooden bowl with a piece of wire suspended across the rim. A sprig of basil is wrapped around a wooden cross and hangs from the wire. A bit of water is poured into the bowl to keep the basil alive and fresh. 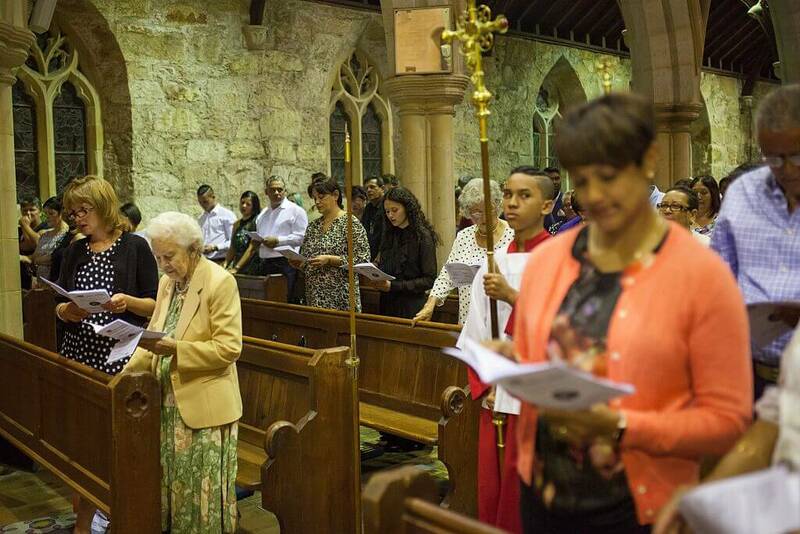 Once a day, someone, usually the mother of the family, dips the cross and basil into some holy water and uses it to sprinkle water in each room of the house. This is done to keep away bad spirits. 35% of the population in Lebanon are Maronite Catholics. These Christians build a manger scene in their homes as well as a nativity crib. Most people have a nativity crib, and just a few people have Christmas trees in their homes. It’s traditional for the scene to be based around a cave rather than a stable. The scene is then decorated with chickpeas, broad beans, lentils, oats, and other seeds. The main meal on Christmas Eve in Bulgaria should have an odd number of dishes (normally 7, 9, or 11) and an odd number of people sitting around the table. People put straw under their tablecloths and sometimes even bring a plow into the room to ensure good crops during the next year. They also eat pita bread with a coin baked into it. If you find the coin, you’ll have good luck for a whole year. South African Christmas has a lot in common with British Christmas. People sing carols, decorate Christmas trees, and leave out stockings for Santa to fill with presents. The Christmas meal is either turkey, duck, roast beef, or a suckling pig with yellow rice & raisins and vegetables, followed by Christmas Pudding. For dessert, they have mince pies and an African pudding called Malva. People also like to pull Christmas crackers. A lot of people like to go to the beach on Christmas in Chile. 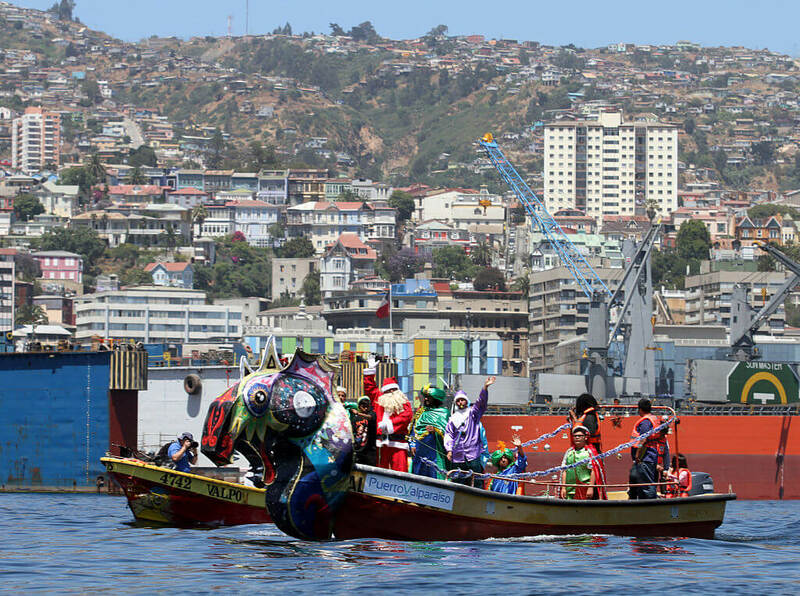 Chile’s seasons are the opposite of ours, so they have Christmas during their summer. 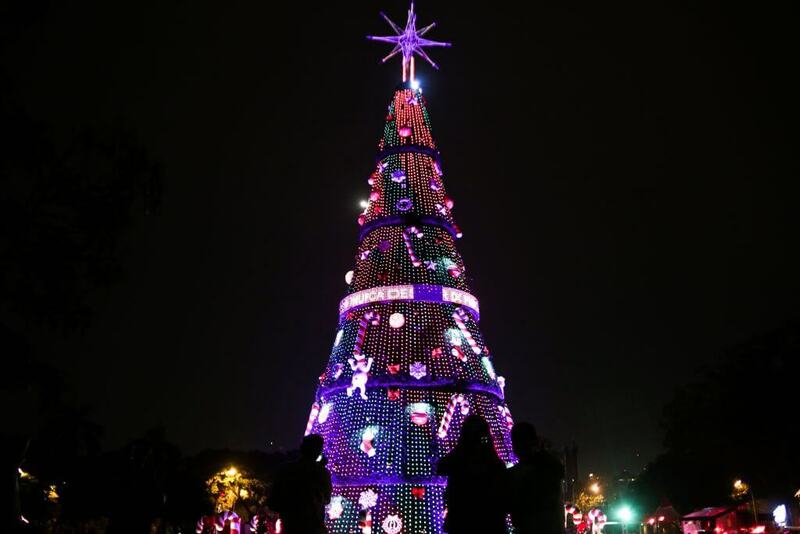 In Chile, Christmas Eve is even more important than Christmas. Everyone gets together for a big meal, and for dessert, they eat a Chilean Christmas Cake called Pan de Pascua. They also drink ‘Cola de Mono,’ which translates to “monkey’s tail.” It’s a drink made from coffee, milk, liquor, cinnamon, and sugar. There are more Christians in Korea than in other Asian countries like China and Japan, so Christmas is actually a national holiday there. They don’t get Boxing Day off, though. 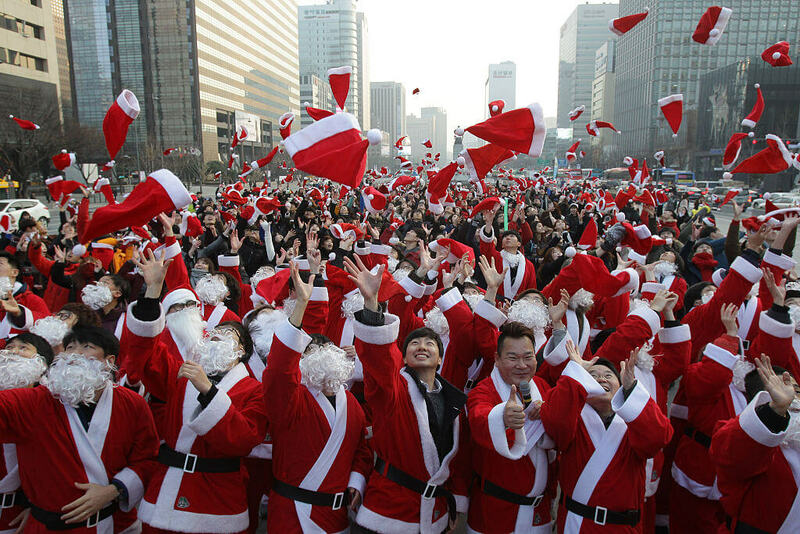 Koreans have adopted a lot of Western Christmas traditions. 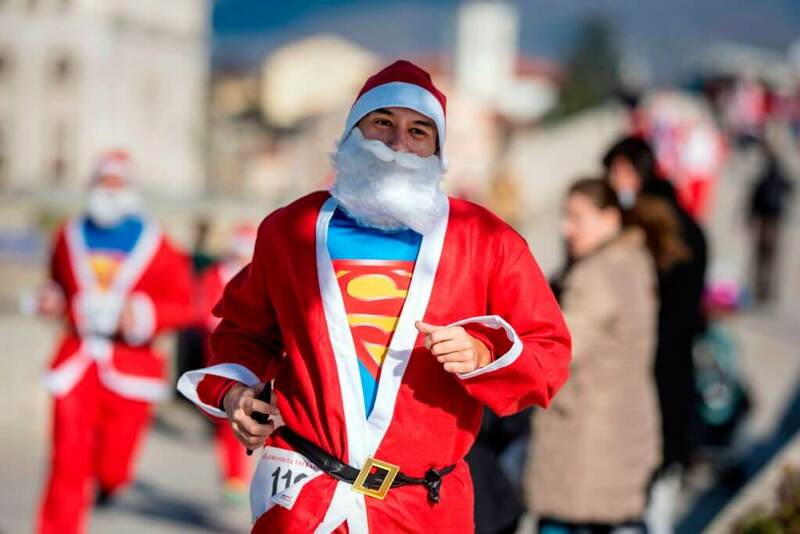 People like to exchange money rather than gifts on Christmas, and Santa Claus can be seen on the streets wearing red or blue. In Korean, he’s known as Santa Kullosu, or Santa’s grandfather. In Singapore, about two in ten people are Christians. Christmas is still very popular in this Asian country, though. The holiday is less religious and more secular and commercialized. Shopping malls are typically decked out in all the fanciest fairy lights and tinsel. 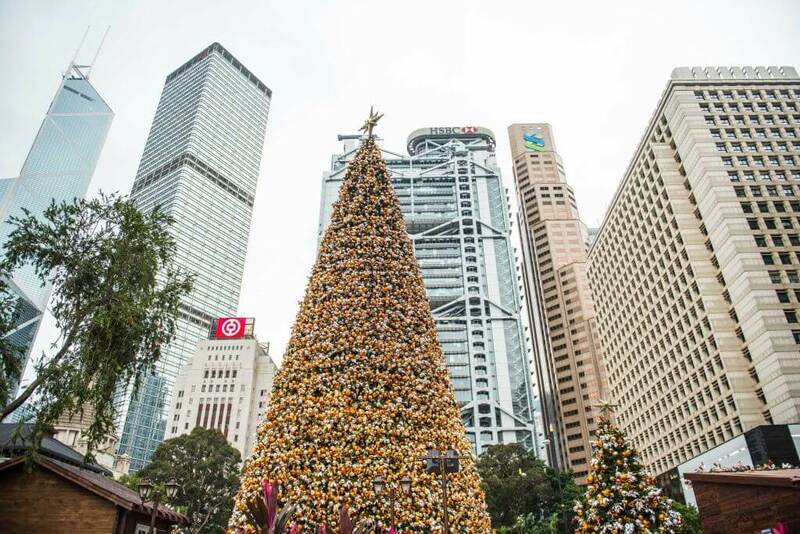 If you’re thinking about visiting Singapore, it’s especially beautiful around Christmas time. 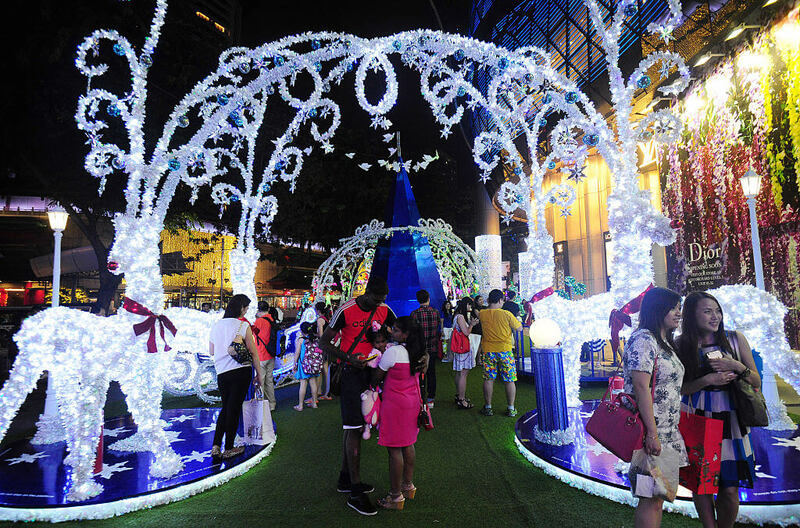 You really haven’t seen lights until you’ve seen what people in Singapore do with lights on Christmas. Straw is a traditional decoration in Lithuania. It’s normally spread on the tabletop and then covered in a white tablecloth. The straw reminds people of Jesus lying in a manger. According to superstition, if you pull a piece of straw from under the tablecloth and it’s long, you will have a long life; but if it’s short you will have a short life, and a thick straw means a rich and happy life. There’s usually a plate of Christmas wafers at the center of the table— one for each person. Sometimes the wafers have the scene of the birth of Jesus on them. In Egypt, about 15% of people are Christians. 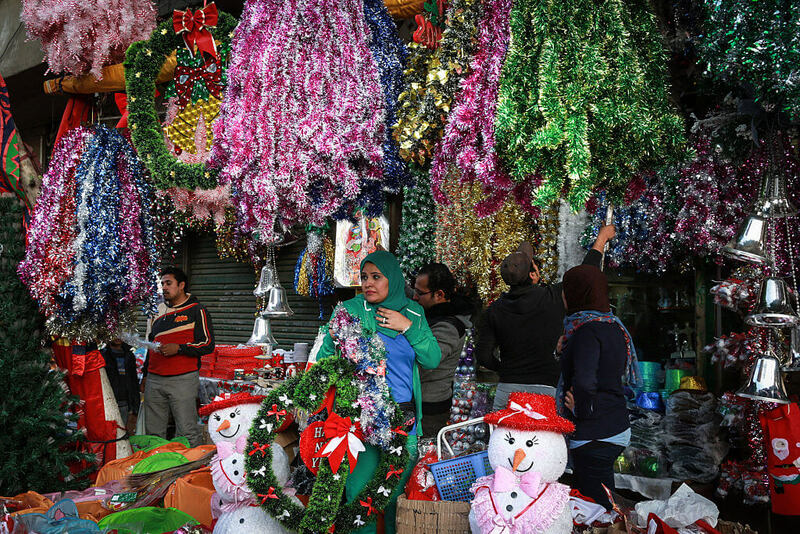 Egyptian Muslims don’t celebrate Christmas at all. Egyptian Christians belong to the Coptic Orthodox Church. They eat a vegan diet from November 25th until January 6th (the Coptic Christmas). This is called the Holy Nativity Fast. You don’t have to fast if you are too weak or ill to do so. In Egypt, Santa is called Baba Noel, which means father Christmas.